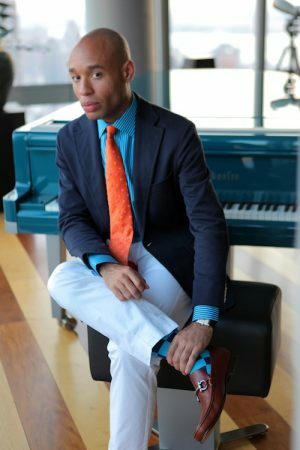 CAPA recently announced its season lineup for 2013-14 including several jazz and world performances including Columbus native Aaron Diehl, the 2011 Cole Porter Fellow in Jazz of the American Pianists Association. Tickets go on sale to the general public on Friday, September 6 (unless otherwise noted), at the CAPA Ticket Center (39 E. State St.), all Ticketmaster outlets, and www.ticketmaster.com. To purchase tickets by phone, please call (614) 469-0939 or (800) 745-3000. Tickets for Radiolab Live, An Evening with Pikelny, Sutton, Bulla, Bales & Cobb, The Milk Carton Kids, Jim Brickman, and The Fresh Beat Band are on sale now. In this new live stage performance, the Peabody Award-winning radio show and hit podcast turns its gaze to the topic of endings, both blazingly fast and agonizingly slow. With their signature blend of storytelling, science, and music, hosts Jad Abumrad and Robert Krulwich romp through hundreds of millions of years of history to arrive at the end, again and again. Joined on stage by Brooklyn guitarist and composer Sarah Lipstate, the evening will be a thought-provoking and laughter-inducing dance on the grave of our inevitable demise. Chris Thile, of Punch Brothers, is a mandolin virtuoso, composer, and vocalist. With his broad outlook that encompasses progressive bluegrass, classical, rock, and jazz, Thile transcends the borders of conventionally circumscribed genres, creating a distinctly American canon and a new musical aesthetic for performers and audiences alike. On this new program, he draws from his 2013 release, Bach Sonatas & Partitas Vol. 1, while also exploring his own compositions and contemporary music. The passionate music and fiery dance of the tango have undergone a renaissance in recent years, a testament to its ability to capture the imagination of lovers of music and dance around the world. The Tango Fire Company of Buenos Aires brings this smoldering art form to the stage with an all-new production featuring12 spectacular dancers and a quartet of brilliant musicians, tracing the history of the art form from its origin on the streets of Buenos Aires through its evolution into contemporary ballroom styles. An Evening with Pikelny, Sutton, Bulla, Bales & Cobb marks a historic collaboration between five of the most celebrated acoustic instrumentalists and singers of our time—Noam Pikelny (banjo), Bryan Sutton (guitar), Jesse Cobb (mandolin), Barry Bales (bass), and Luke Bulla (fiddle). These musical friends are gathering in concert to share an evening of original and classic bluegrass music, an experience that customarily only happens behind closed doors, whether backstage at a festival or at a Nashville picking party. While The Milk Carton Kids’ most obvious frame of musical reference is the classic folk sound of twin acoustic guitars and close harmonies, the band both expands and contradicts that rich legacy. Their music strikes listeners immediately with its sweet, bluegrass-inflected simplicity and rich, vivid harmonies, but underneath snakes sinuous guitar lines. Now touring in support of their new album, The Ash & Clay, released in March 2013. A Columbus tradition for more than 30 years, Nebraska Theatre Caravan returns with the national touring production of A Christmas Carol. Capturing every detail of the Dickens classic, from the spine-chilling ghosts and gorgeous renditions of traditional British carols to crotchety Scrooge and lovable Tiny Tim, Columbus audiences have come to love Charles Dickens’ enchanting story and this treasured holiday event. This Family Series performance is made possible through the generous support of series sponsors AEP. Described as a “sometimes pensive, often poetic, and continually progressive folk-pop ensemble,” Cincinnati-based Over the Rhine has been making music for more than 20 years. Karin Bergquist’s torchy, devil-may-care voice brimming with Midwestern soul teamed with the brilliance of keyboardist and songwriter Linford Detweiler can seamlessly move from avant garde jazz to whisper-quiet folk subtleties to flat out rock. Now touring in support of the 2013 release of their double album, Meet Me at the End of the World. Internationally renowned a capella ensemble Sweet Honey in the Rock celebrates music from many faiths around the globe with this one-of-a-kind seasonal concert. This program honors the holiday spirit from Christmas to Kwanzaa with traditional holiday standards such as “Go Tell It on the Mountain” and “This Little Light of Mine” blended with new holiday favorites. Dave Koz and Friends Christmas Tour 2013 is an uplifting, high-energy show the whole family will love. Get into the holiday spirit as some of music’s biggest names jam on fresh, lively arrangements of seasonal favorites, led by multi-GRAMMY® nominee and saxophonist extraordinaire Dave Koz. Joining Dave this year are Japanese-born pianist/composer/producer Keiko Matsui; world-renowned singer Oleta Adams; and South African singer/guitarist Jonathan Butler. Together they’ll be making spirits bright as this cherished holiday tradition marks its 16th anniversary. Finbar Wright, Anthony Kearns, and Ronan Tynan have been touring together as The Irish Tenors since 1998, with sold-out shows at Radio City Music Hall, Sydney Opera House, Carnegie Hall, The Hollywood Bowl, and major concert halls throughout the world. Their faces and voices are familiar to PBS audiences from several specials, including the “Ellis Island” recordings. All classically trained singers, together they combine to produce a sound and concert experience which touches hearts and stirs emotions through happy songs of celebration and humor mixed with touching melodies and songs that warm the heart. In The Magic of Christmas, Jim Brickman and his special guest performers bring the spirit of the season to life, delivering the perfect blend of music and entertainment that creates lasting memories for the whole family. Performing holiday favorites and the hits that have made him the best-selling solo pianist of our time, Jim Brickman brings emotion, intimacy, warmth, and humor together for the must-see concert of the holiday season. The Fresh Beat Band, Nickelodeon’s preschool music group and stars of the hit TV series of the same name, are giving fans one more chance to see them live as they hit the road again for 60 performances on their nationwide concert tour. Featuring Kiki (Yvette Gonzalez-Nacer), Marina (Tara Perry), Twist (Jon Beavers), and Shout (Thomas Hobson), The Fresh Beat Band will perform hits from seasons one, two, and three of the Nickelodeon live-action music series that teaches preschoolers about music appreciation. Songs performed include “Here We Go, “A Friend Like You,” “Bananas,” and “Just Like A Rockstar” among others. This Family Series performance is made possible through the generous support of series sponsors AEP. Comedian Ron “Tater Salad” White is best known as the cigar smoking, scotch drinking funnyman from the “Blue Collar Comedy” phenomenon. But with two Grammy nominations, a Gold Record, three of the top rated one-hour specials in Comedy Central history, a book that appeared on the New York Times Best Seller List, and CD and DVD sales of more than 10 million units, Ron has established himself as a star in his own right. Led by founder and leader Joseph Shabalala, Ladysmith Black Mambazo now celebrates more than 50 years of joyous and uplifting music that marries the intricate rhythms and harmonies of their native South African musical traditions to the sounds and sentiments of Christian gospel music. In those years, the a cappella vocal group has created a musical and spiritual alchemy that has touched a worldwide audience representing every corner of the religious, cultural, and ethnic landscape. Their musical efforts over the past five decades have garnered praise and accolades within the recording industry, but also solidified their identity as a cultural force to be reckoned with. The Peking Acrobats push the envelope of human possibility with their tremendous skill and ability. They perform daring maneuvers atop a precarious pagoda of chairs, are experts at trick-cycling, precision tumbling, somersaulting, and gymnastics, defy gravity with amazing displays of contortion, flexibility, and control, and astonish audiences with their juggling dexterity and incredible balancing feats. These masters of agility and grace create an exuberant event with all the excitement and festive pageantry of a Chinese carnival. Called “Mali’s biggest pop star” by Rolling Stone, West African singer, songwriter, and guitarist Habib Koité has sold more than 250,000 albums around the globe and received raves from publications such as People, Entertainment Weekly, and the New York Times. Drawing on styles from the different regions of Mali, Habib has gained a strong fan base by integrating the rock and folk sounds of the Western world with his cherished Malian roots. Actor, mime, puppeteer, juggler, ventriloquist, stand-up comedian, and improvising whirling dervish Robert Post is a one-man variety show now celebrating 40 years in a career that has taken him around the world. From meticulously crafted routines to freestyle improvisations, Post is a brilliant physical comedian whose lightning-quick character changes and physical dexterity leaves audiences howling with laughter. Chicago’s legendary comedy theatre, The Second City, presents Happily Ever Laughter, a hilarious revue featuring some of the best sketches, songs, and improvisation from its 53-year history. Drawing on classic material from The Second City archives as well as scenes ripped from the morning headlines, The Second City’s Happily Ever Laughter is your chance to see comedy stars in the making in an evening of smart, cutting edge comedy. In Scattered, highly physical dance theatre Motionhouse combines its trademark and mesmerizing aerial imagery with film and graphics to create a unique visual performance event. Performed on a huge curved floor which disappears skyward, the production uses projection technology to create a world in which the dancers move in, on, and through images. Scattered delves into the majesty and savagery of water as seven dancers plunge into an ocean, tumble down a waterfall, gasp with thirst under a scorching sun, and slide on an avalanche to a frozen landscape of arctic beauty. The Four Bitchin’ Babes are an original “Babes Brand” of musical theater with a 20+ year career on-stage and in-studio, releasing multiple recordings and a full length DVD. These four, multi-talented gal pals, each a brilliant writer-musician-comedianne in their own right, fill the stage with luxurious harmonies and sophisticated (never blue) stand-up comedy, creating an amazing evening of raucous delight. In Mid Life Vices, the girls use their wacky musical viewfinder to hysterically journal the lives of the Baby Boomer generation, honoring the quirks and habits of men and women who (like the Babes) refuse to act their age! When Elmo casts a spell with Abby Cadabby’s magic wand, Sesame Street becomes a non-stop, all-singing, all-dancing musical montage! Grover and Baby Bear sing their highs and lows, Cookie Monster sings fast and slow, Bert and Ernie converse in song, and Murray makes mouth music for all to sing along! Learn why it feels good to sing a song, but why it feels good to stop, too! What will Elmo learn about the power of musical magic? Join the conga line of fun to find out! This Family Series performance is made possible through the generous support of series sponsors AEP. Patty Larkin redefines the boundaries of folk-urban pop music with her inventive guitar wizardry and uncompromising vocals and lyrics. Acoustic Guitar hails her “soundscape experiments” while Rolling Stone praises her “evocative and sonic shading.” She has been described as “riveting” (Chicago Tribune), “hypnotic” (Entertainment Weekly), and a “drop-dead brilliant” performer (Performing Songwriter). Patty Larkin is touring in support of the release of her 14th recording, Still Green, a fresh approach to sound and life from a legendary songwriter who continues to amaze. For more information or to make reservations, student groups can contact Heather Kalman at 614.719.6764 or hkalman@capa.com.